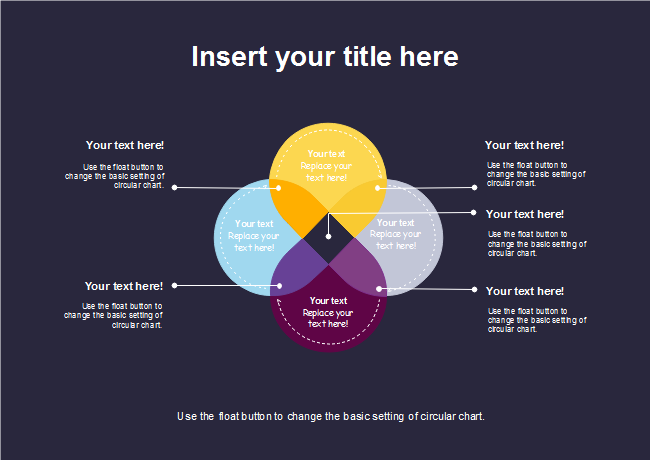 Description: Inspirations can be found at the 4-set colorful Venn diagram template with navy background. Select which font would contrast perfectly with the current background color. Add a couple more icons and graphics to the space with Edraw to improve this design.